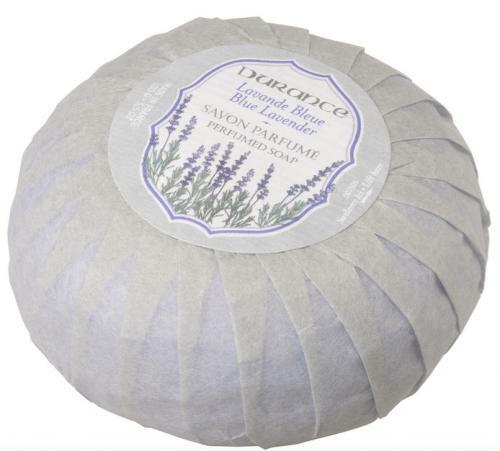 BLUE LAVENDER PERFUMED SOAP - A soft triple milled soap enriched with soft, scented almond oil in ribbed, retro paper packaging. Ideal as a gift. Inspired by the wealth of the most precious of plants used in perfumes, Durance's Grasse master perfumers are true craftsmen. They have perfected each ingredient as to create refined fragrances that reflect the Earth's bounty. The tender notes of this fragrance spread a subtle floral, precious scent, reminiscent of the marvellous perfumes of Provence.